Home News How Do You Want OKI To Shape Future of Region’s Transport Network? The OKI Regional Council of Governments is in the midst of updating its 2040 Regional Transportation Plan. In the early stages of developing this plan, they region’s designated metropolitan planning organization is looking for feedback regarding the types of transportation and land use policies it pursues over that time. As of now, agency officials are looking for public feedback in the form of an online survey that takes less than five minutes to complete. It asks the public what kinds of transportation modes should be prioritized, where the region’s transportation network is lacking, whether maintenance or expansion should be prioritized, and how you currently and would like to get around for your daily needs. Planners at OKI say that the results of this public input will help define what types of transportation improvement recommendations are made in June 2016. This is critically important since OKI serves as the regional authority in charge of administering federal transportation dollars. Over the past four years this has included $86.3 million for 77 roadway projects, $22.9 million for 12 transit capital improvements, and $6.6 million for 15 bicycle and pedestrian projects. As with any planning exercise, the OKI 2040 Regional Transportation Plan (2016 Update) is based on a number of factors to help guide decision-making. One of the most important baseline factors is population growth and the distribution thereof. For this, OKI is using 2010 Census data, and its preceding decades, as the baseline for future forecasting. As a result, OKI is projecting that Hamilton County will lose 2% of its population between now and 2040, thus resulting in a loss of regional population share from its 40.1% today, to 35.4% in the future. In fact, based on those prior trends, OKI believes that Hamilton County’s population will stand at approximately 790,000 in 2020 – down from the 802,374 baseline in 2010. 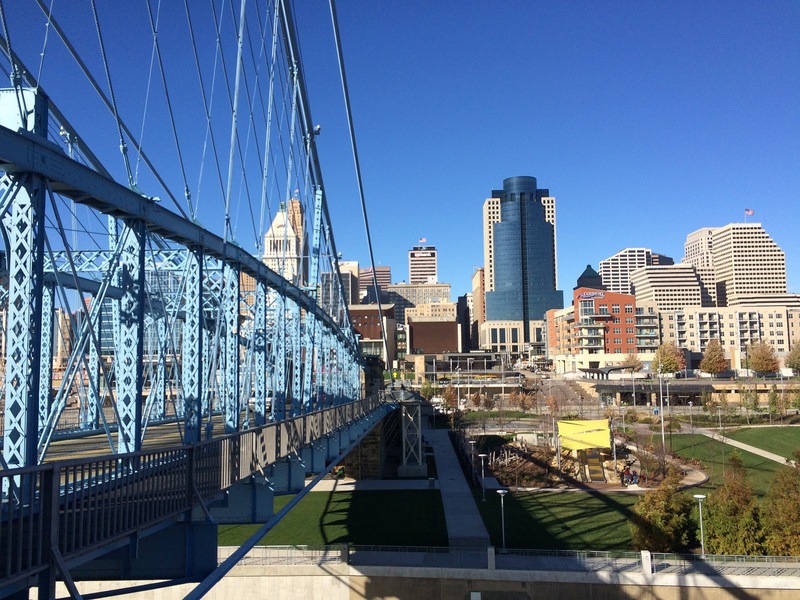 The problem with using these historical trends is that Cincinnati has seen a dramatic turnaround over the past decade – one that has reversed Cincinnati and Hamilton County’s long population loss trend. This has been reflected in the latest population estimates from the U.S. Census Bureau, which say that Hamilton County has actually gained population since 2010, and now has approximately 806,000 residents. Meanwhile, growth in the region’s outlying counties has slowed down considerably based on historical trends. This is important because leadership at OKI has consistently said that it needs to continue to accommodate growth in the region’s outlying counties, which means funds that could otherwise be directed toward mobility, safety and maintenance improvements are instead spent on capacity expansion. While there may be an overstated importance placed on the need for capacity expansion, OKI planners do acknowledge the need to improve the mobility, safety and maintenance of the regional network. Of the plan’s eight stated goals, none of them include, with perhaps the partial exception of Economic Vitality, the need to add capacity. “In addition to its economic impacts, transportation also plays an important role in the region’s quality of life,” the report states. “Transportation improvements have an effect on development, travel patterns and opportunities for all the region’s citizens. The transportation system should be balanced so that no group or groups of people assume a disproportionate share of positive or negative impacts. The survey will remain open until Friday, January 8. After that time OKI officials say that their staff will begin formulating a draft project list to recommend for funding. Once that list is completed, OKI will host five public involvement events in the spring to gather feedback on the recommended projects.